My apologies for not sending out my email newsletter for some time. Unfortunately I was struck down with a nasty bug that has been ‘doing the rounds’. It meant I was bed bound for a week and not only was I unable to be in Parliament but also unable to write my email newsletter. I am better now and have had a busy few weeks! There’s a lot of news so please read on. 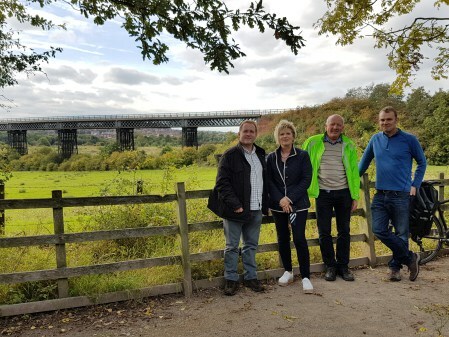 The charity co-ordinating the restoration of Bennerley Viaduct has decided not to make a second application for £4.5 million funding from the Heritage Lottery Fund. The charity, Sustrans, came close to success in their first application in January. There are now real concerns from the Friends of Bennerley Viaduct that this exciting project is under threat. There are meetings next week of both Sustrans and the Friends and I will of course keep you updated. 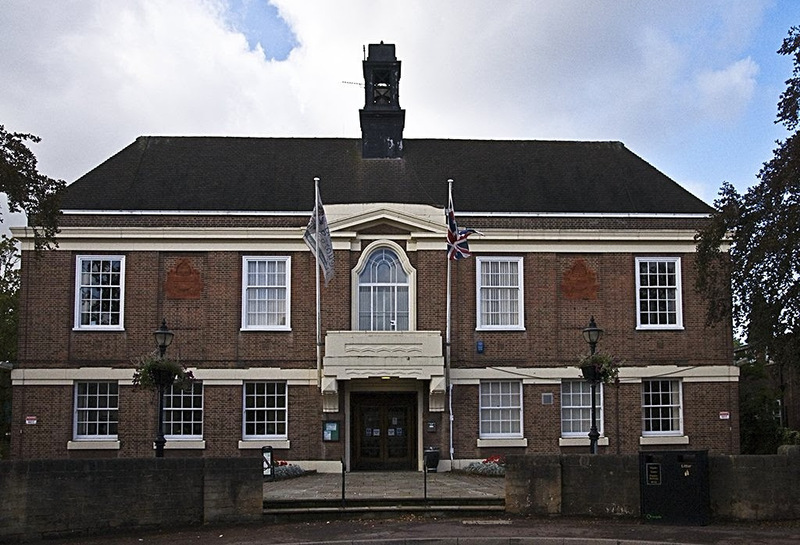 Broxtowe Borough Council has made it very clear there are no plans to demolish Beeston Town Hall. In an era of fake news, I think it would greatly help what should be a sensible debate about the future of the Town Hall and the responsibility of the Council to safeguard tax payers money, if those who still peddle the demolition myth set the record straight! 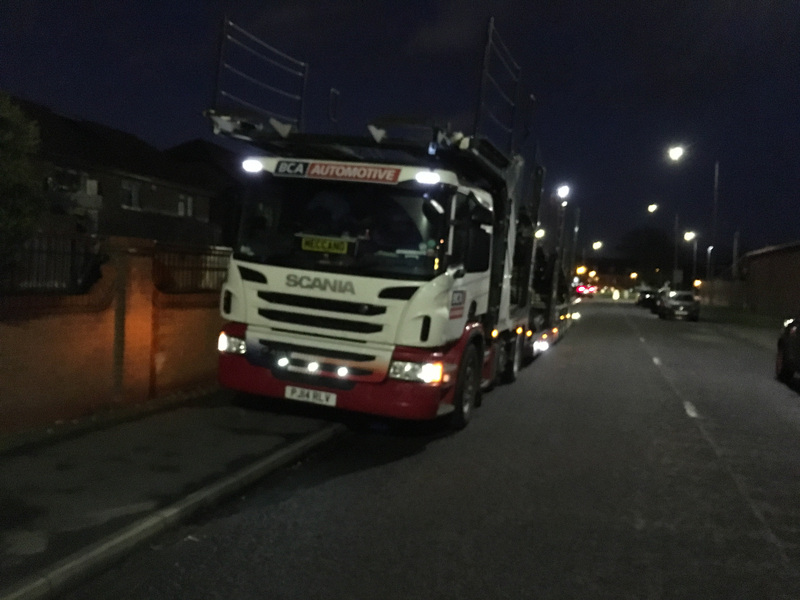 Despite assurances from Evans Halshaw that they would stop transporters parking outside homes in Chilwell Meadows and using the wrong entrance, residents are still reporting problems. It is now time for Evans Halshaw to sort the problem once and for all and I have accordingly asked for an urgent meeting with the company. I have written to every school in the constituency about the Oliver King Foundation de-fibrillator campaign. 12 year old Oliver died from a sudden cardiac arrest and would have been saved if a de-fib had been installed at his school. 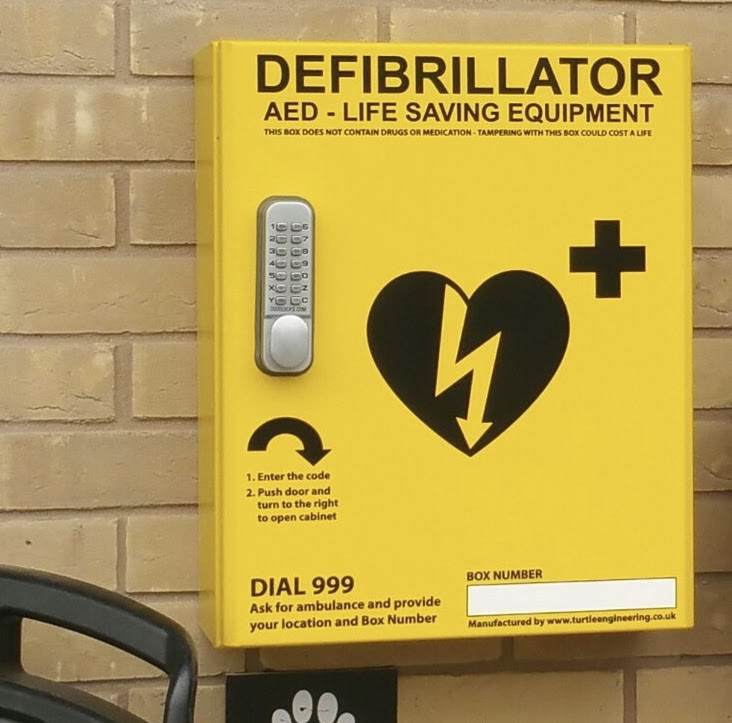 We have a growing number of de-fibs in public places across Broxtowe. The OK Foundation works with schools to get the funding together and aims to get a de-fib installed in every school. I am very grateful to those schools who have replied – a number already have de-fibs. I will work with the rest to raise funds for this vital life saving equipment. On Tuesday I asked the Secretary of State for Health about the assistance he is giving to the Oliver King Foundation’s campaign, you can read the Secretary of State’s response here or watch it here. 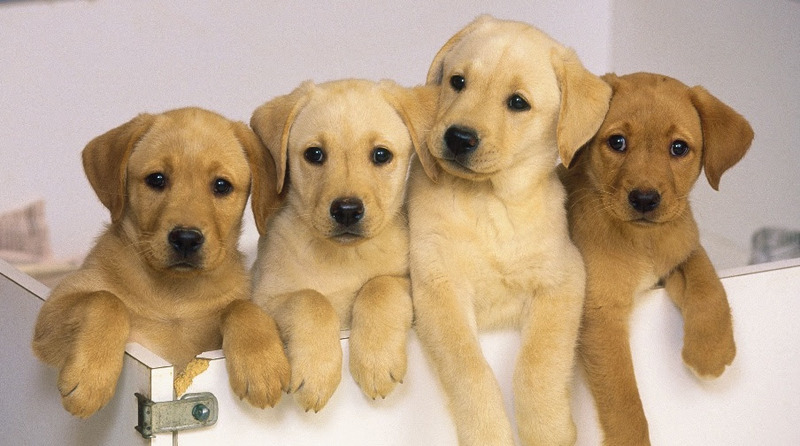 As part of a radical overhaul of existing animal welfare laws (including raising the maximum sentence for animal cruelty to five years) the Government has launched a consultation on banning third party sales of puppies. It would mean anyone wanting to buy or adopt a puppy would have to deal directly with the breeder or animal rescue centre. Please take part in the consulation by clicking here and find out how the Government is cracking down on unscrupulous breeders and protecting dogs and puppies here. Action Hunger founded by Toton’s Huzaifah Khaled, has secured Professor Stephen Hawking as its patron. The charity provides cards and vending machines so homeless people can get essential supplies. As well as supplying goods, the scheme engages homeless people with the services they need including help with accommodation, mental health issues and substance abuse. I met Huzaifah and fully back Action Hunger. I’ve already helped secure the extension of their pilot scheme at the Broadmarsh Centre. I met representatives of Network Rail to discuss the future of the Attenborough crossings. Their plans for a pedestrian and cyclists bridge at the Meadow Lane crossing are going well. I also asked them about the possibility of a road bridge on Long Lane given Cemex is selling its site. My idea is in its infancy and Network Rail is certainly interested. I have therefore written to Nottinghamshire County Council’s highways department to ask if they could consider whether there is any merit in a road bridge in Attenborough. I will of course keep you updated. I also raised my campaign to improve access to Beeston Station and we will look to making an application to the next funding round. The inquest into the death of Beeston Rylands’ Owen Jenkins found that 12 year old Owen drowned going to the rescue a friend who had got into difficulty in Beeston Weir. The work continues to make the Weir and River Trent safer along with a permanent memorial to this brave young man. Following serious complaints from a number of Stapleford residents there will be a public meeting on Monday (12th February) to discuss a recent spate of crime in the town. Following my offer of a meeting, Cllr Richard MacRae has arranged the event at Carnegie Hall on Warren Avenue at 7pm. If you live in Stapleford I very much hope you will come along. I am very pleased that Nottingham University Hospitals Trust has refused permission for anti-abortion protesters to gather on its premises. I am all for free speech and the right to demonstrate but not when it amounts to harassment of women, girls and health workers. If anti-choice campaigners want to change the law then they should campaign in public places and make their case. 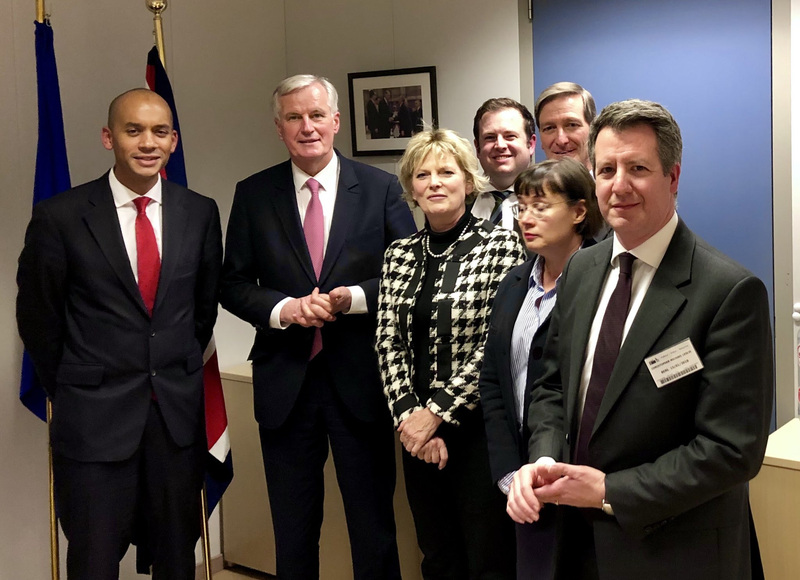 It is over two weeks since I went to Brussels with the All Party Parliamentary Group on EU Relations for a series of meetings about the Brexit negotiations. We met the EU’s negotiator, Michel Barnier amongst others. Many of our meetings were confidential but we all agreed that a number of important messages should be made public. It gives me no pleasure to say that 19 months on from the EU Referendum, my Government has still to decide what we want from the next critical set of negotiations about our future trading relationship with the EU – the final deal. Over a year ago, the Prime Minister said what she did not want – notably for us to continue as members of both the Single Market and the Customs Union. Since then there has been a General Election where my party lost its’ majority in Parliament. I appreciate you may not agree, but I believe an important part of that loss was a rejection by people of a “hard Brexit”. What do I mean by “Hard Brexit”? Well, there is a small, vociferous and ideological group of MPs in my party and others the likes of UKIPs Nigel Farage, who believe we should simply leave the EU without any trade deal. This would mean we would trade as a member of the World Trade Organisation (WTO). The WTO sets tariffs (taxes basically) that member states charge on goods coming into their country. It also allows countries to strike their own trade deals. Of course there are alternatives to this “Hard Brexit”. The Government believes it can get a deal with the EU whereby we get all the benefits of staying in the single market and customs union, remain free to strike new free trade deals with countries like India and Australia, and “control” immigration. As I learnt on the trip to Brussels (and Monsieur Barnier confirmed this week when he came to London) we will not, can not, get that sort of deal. It’s what the commentators call ‘having your cake and eating it’ and it is simply not going to happen. I think many people make the mistake of seeing the EU as one body when in fact it is (until we leave) 28 countries (with many more Parliaments!). Every leader of those countries, every political commentator and all the people we spoke to in Brussels agree that our Government must decide by answering this question; do we want a future trading deal like the one Norway has, or like the one Canada has? And before you think this is all way too complicated – please read on because this is the most important decision we have had to take since World War 2 and it’s so important that we get it right based on facts, not emotion. I believe very strongly that we must all be involved and I am proud to be working across all parties to find a consensus on what type of Brexit we get. You may have heard that the Government has commissioned analysis of the various Brexit options from all of its departments. These are now available to MPs and I’ve booked my slot to read them, although they’ve been widely leaked. I think you have a right to see them and I will continue to make the case for that! In the meantime, they reveal that here in the East Midlands our economic growth would be reduced by 8% if we had a Hard Brexit. If we get some excellent deal it would be reduced by 5% and even if we stay in the Single Market and Customs Union, it would be reduced by 1.5%. It’s right that no economic forecast is ever accurate. But what’s striking about this analysis is not only that all options show a poor economic future, they make it clear that some options are considerable more damaging to our economy than others. On the basis we are leaving the EU I have always wanted us to stay in both the Single Market and Customs Union for no other reason than that’s the best Brexit outcome for our economy. I should add membership of the Customs Union also maintains peace in Ireland by retaining the integrity of the Good Friday Agreement. So I favour the arrangement Norway has (but also want us to be part of the Customs Union). Norway is a member of the European Free Trade Association (which we set up many, many years ago). Norway is in effect a member of the Single Market, but determines its own fishing and agricultural policy, has a say in the rules and regulations that concern trade, and is not subject to the European Court of Justice. EFTA members are also able to put brakes on the free movement of workers. (Please follow the links below for more information about EFTA and the Single Market). But Norway is not in the Customs Union. That comprises all the EU Countries and there are no custom barriers or tariffs, so goods flow freely. Because Norway isn’t in it but its neighbour Sweden is, there is a customs border between the two countries, resulting in long lorry queues as goods are checked and tariff payments are arranged. As you will know Ireland is in the EU and Northern Ireland is part of the UK. So when we leave the EU the old border will return between Ireland and N.Ireland. This would contravene the Good Fridayagreement which brought peace to the island after years of terror and strife. The lack of border between Ireland and Northern Ireland is at the heart of the peace process and we simply cannot allow it to return. No-one has any solution as to how we stop the hard border returning other than our remaining in the Customs Union and whats called the Phase 1 agreement reached in December between the UK and the EU in effect accepts we remain in the Customs Union. However as the Prime Minister stated at the weekend, she does not want us even to be in a Customs Union once we have left the EU. The only reason the Government has for us not to be in the Customs Union is because as a member, we are not be allowed to strike our own trade deals with other countries. We do of course, by virtue of our membership of the EU, enjoy the benefits of about 50 trade agreements with other countries. So it’s baloney to think we aren’t already benefitting from trade agreements with other non-EU countries. In any event, the Government’s own analysis shows that even if we get deals with countries like India (and it’s worth remembering they would want a substantial relaxation of our immigration rules in return for tariff free trade) they will not make good the economic harm we will suffer by leaving the Single Market and Customs Union. I now turn to the alternative – a Canada-style deal. Last year the EU and Canada made a trade deal which we currently enjoy because we are still in the EU. This deal has removed many tariffs placed by the Canadians on British goods but not on what are called services; if you’re in a business/job that doesn’t make something you can put on the floor – you’re in our services sector. There is a small part of the Canadian deal relating to services but it’s very small and 80% of our economy is services. So, if we are to keep our economy growing we must get a deal on services with the EU and we simply are not going to get anything like what we want and need. That has been made abundantly clear by the EU and I heard that from every quarter when we went to Brussels. It is an echo of what I have been told by ambassadors, representatives of British businesses and hugely respected commentators. I understand that many people are frankly fed up with all the talk and division over Brexit. But we have to get it right and I am not prepared to shut up and stand by and watch our country stumble to the Hard Brexit advocated by about 35 MPs. The Government faces a choice, have yet to make it and time is running out. My criticism is that they keep pandering to the Hard Brexiteers – refusing to counter is staying even in a Customs Union is evidence of that. Meanwhile, I believe if we had a free vote in Parliament the majority of MPs from all parties would support our joining EFTA and the Customs Union. To be honest it is the stuff of madness that we cannot achieve that Brexit consensus and I can assure you I won’t hesitate to achieve it. Working with the Nottingham East MP Chris Leslie (Labour) I have tabled amendments to two important Bills that would keep us in the Customs Union. I will support similar amendments in favour of our membership of EFTA working with my Conservative colleague Stephen Hammond. I will also support amendments that maintain the sovereignty of Parliament and which stop excess power long with the Government. I am always willing to meet any constituent to talk about Brexit. It’s now all about the economy – securing prosperity – jobs and growth not merely for my generation but for our children, grand children and generations to come. Please read more about our Brexit options in papers prepared by the completely independent House of Commons Library service. You can also read the full text of Stephan Hammond MP’s EFTA Westminster Hall debate here. I made a speech in Parliament on Brexit and the options available to us. Click here to watch a video of my speech or here to read the text of my speech. 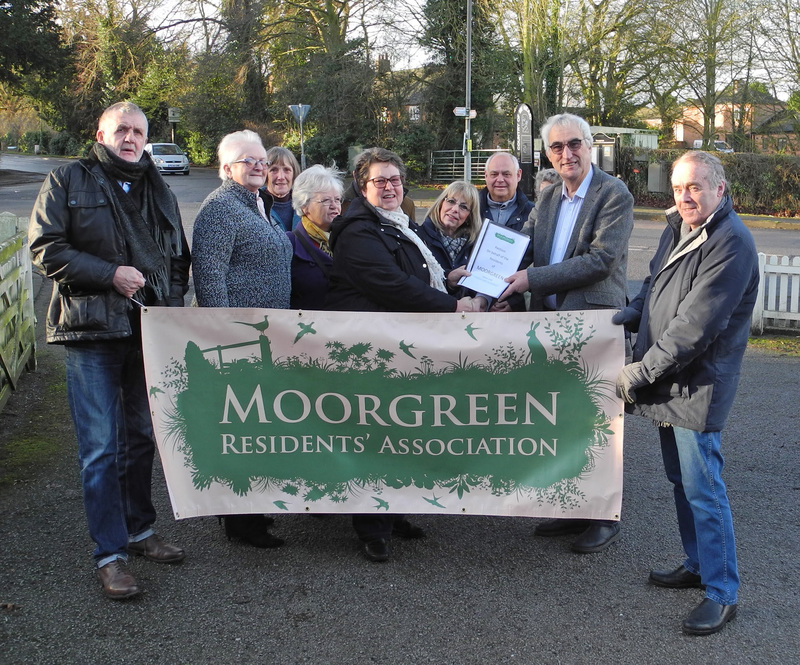 Moorgreen residents have handed in a petition of over 200 signatures to Nottinghamshire County Council asking for action to stop speeding and curb the number of HGVs on their road. County Councillor John Handley presented the petition and I hope we will soon get action on this long standing problem. A huge congratulations to Bramcote College’s U16 Netball Team who have become the East Midlands Netball Champions following on from their victory in the County Championship last term. They will now represent the East Midlands in next month’s national finals. Would you like to serve your community and make it an even better place to live? If so I hope you would consider standing as a Borough, Town or Parish Councillor. The next set of elections is in 2019 and Broxtowe Conservatives are asking anyone who is interested in becoming a candidate to contact them. If you want more details please contact Tony Harper at tonyharper@me.com. Please be constructive, not personally insulting, hurtful, defamatory or liable to compromise the privacy of others. Providing your full name adds credibility to your comment but we will accept your first name plus initial for your surname. We won’t accept pseudonyms. Previous Bramcote Today is getting a makeover! Presumably Anna would see this article headlined “All options still on the table for Beeston Town Hall despite 94 per cent of people rejecting plans to demolish it” that appeared a day or so ago in the Nottingham Post as being an example of the fake news of which she speaks. On the 23rd of June 2016 the British people voted to leave the European Union. David Cameron made it clear that the result of the referendum would be honoured. The Single Market and Customs Union are part of the European Union. Therefore by default we voted to leave them. If we remained in the Single Market and Customs Union it would prevent us from making our own trade deals around the globe. This would be enormously detrimental to our future wealth. Furthermore the government would not have fully implemented Brexit. Those who try to prevent Brexit and thus the will of the people, are antidemocratic. Howard – You are right, of course the referendum should be humoured and I am sure that we will formally come out of the EU. However, the referendum did not say what should happen after that. Many people now wish to retain the benefits of EU membership. The British people have elected a sovereign Parliament to decide the matter. This is how our democracy works. Neither Howard Shakespeare nor an ill defined referendum of nearly two years ago should now be allowed to thwart the will of the British people. So Joan, what parts of the above don’t you understand. The will of the British people MUST NOT be thwarted by the likes of Gina Millar, Eddie Izzard, Anna Soubry or indeed by the redoubtable Joan Wade. Ian – It is not clear to me why you were unable to read my comment but I have stated that I am sure we will formally come out of the EU. A democracy however is not frozen in time. The fact that we voted for a Whig government in 1830 does not mean that we have to have a Whig government today, Clearly when people voted in 2016 they did so without first deciding what kind of Brexit they wanted. Nearly two years have gone by since the vote in 2016 and we have had a General Election since then. It is right that the representatives of the British people should therefore decide what Brexit means today. If you don’t accept that that the passage of time is a relevant consideration then you need to remember that we had an earlier referendum where a majority voted against Brexit. There you go again Joan talking about things that are either irrelevant, or wrong. “Many people now wish to retain the benefits of EU membership” — and many more do not. It’s possible that many people will ask “What benefits might that/they be?” (please don’t answer the question, it’s not there for that purpose). “an ill defined referendum of nearly two years ago” — It was clearly defined on the ballot papers that my wife and I used to vote on. The question was “Should the United Kingdom remain a member of the European Union or leave the European Union?” — and the choice of answers was “Remain a member of the European Union” and “Leave the European Union”. The instruction was “Vote only once by putting a cross [X] in the box next to your choice. “we voted for a Whig government in 1830” — I may have voted for a Whig government in 1830, or I may have voted Tory. I cannot be certain which way as a) I may not have been permitted to vote, b) I’m not old enough to have voted in 1830. However there is one thing I can be sure of Joan. You would not have been permitted to vote at all. I make no comment about your age. “you need to remember that we had an earlier referendum where a majority voted against Brexit.” And I was under the impression that you knew what information was available in 1975 and what we were actually voting on, when the electorate voted to remain within the EEC, more commonly referred to as the Common Market. Note that the EU did not exist then, nor were we voters informed what the plans were regarding Federalisation and Sovereignty. Ian – I note the casual way you dismiss the result of the referendum and claim that people did not know what they were voting for. I can assure you that they did know. The outcome was a very clear vote for Remain. Some people were unable to come to terms with this and almost from the first day demanded a second referendum. We have now had this and it is time to move on. You need to get used to the fact that British people have every right to call for a fresh referendum. You might not like democracy but it is the best system yet devised for settling such matters. Is it wise that a referendum which produced a very close result should result in the worst type of Brexit possible? It is becoming tyranny of the small majority. The referendum campaign was dogged with lies and misinformation and many people who voted leave have changed their minds. And of course, British Citizens living in the EU were denied a vote. A democracy is not a democracy if people cannot change their minds. And of course Steve, many people who voted to remain have also changed their minds. If you think that the result in 2016 was close, and democratic, please explain why we continually send people to Westminster who have not achieved a simple majority of 50% + 1. I live in England, but was not able to vote in the Scottish Independence referendum, a fact that I am quite happy with. If I was living within Europe I see no reason why I should have a vote, altho EU law states that EU citizens can vote in Local Elections but not National Elections. British Citizens in Europe and overseas were able to vote in the referendum provided they could attend the polling station where they were registered and it was Less than 15 years since they had left the UK, or if they had applied for and been granted a postal vote and returned it in time. How many more referendums do you want Steve. One, that seems a bit mean to me, Two for a best out of three result. Or shall we have 5 to ensure the will of the people is met. Perhaps we ought to have a Europe wide vote, and include all the immigrants from Africa or in Europe illegally. But then in all honestly the vote should be if the people of Europe wish to remain as members of a Federal, un-democratic organisation run by 5 or 6 unelected men. I don’t think it will help to further discuss why people voted for Brexit any more than it helps to discuss why we find ourselves governed by people who have backgrounds and lifestyles that are totally unrepresentative of most us -it just seems that we always do. I suggest that rather than try to find an answer to what caused Brexit we begin to manage the effects it will have. At present I see little evidence we have started to plan for life after Brexit. ….no quantifiable objectives, no solutions, no process, no resources, no timescale, no neighbours, no checks, no balances…and our Grandchildren therefore have no chance! I would like a referendum on the final deal. Pretty straight forward. It seems to me that when politicians wilfully and irresponsibly mislead the electorate, as Boris Johnson et al did about the alleged benefits of Brexit, voters should be presented with a proper opportunity to correct a mistake they were led into making. When the public is split almost 50/50 over Brexit one cannot employ the term “the will of the British people” without risking ridicule. I would prefer if politicians would come clean and lay before us the pros and cons of Brexit, which they should have done before the referendum, only they didn’t. Next, once this has been done, hold a second referendum and accept the result. It could be the same as last time after all, but I feel held to ransom by gullible people who failed to see through the blatant lies of some untrustworthy politicians. Democracy deserves the truth, otherwise it’s not democracy. Lastly, it is now only too clear that the Government had no idea of the economic consequences of Brexit and no clue as to how to proceed with the process. The incompatibility of a hard Brexit with free movement across the Irish border remains a can that the government stubbornly kicks down the road. No wonder Brussels says we’re trying to eat our cake and have it. If Remain had won the referendum by even a small margin, there would be no talk of a second referendum. If Remain had won by even a small margin there would indeed have been no talk of a second referendum. Even senior politicians of various persuasion have condemned Brexit. Michael Heseltine declared that there was no upside to Brexit and Ken Clarke has voiced a similar opinion. And they’re Tories! Don’t forget to include all the other lying parliamentarians who lied through their teeth and omitted to present the British public with all the information available, people like Ted Heath, Harold Wilson, Margaret Thatcher (give her her due she did try hard to change the direction of the EEC), John Major and Tony Blair. (list is NOT comprehensive). So we, the British people, have decided to correct a mistake we, the British people, were led into making in 1975. The vast majority of Conservative voters support Brexit. My entire family are Conservatives and we all voted to leave the EU. Those Conservative MP’s who wish to remain in the EU are out of touch with party supporters. Thank God for Boris Johnson, Jacob Rees-Mogg, Michael Gove etc. Not to mention the noble Frank Field on the Labour benches. I’m reassured that Anna Soubry doesn’t share your adulation of the right wing extremists who are ruining her Party. Lord Ashcroft’s demographic analysis of the referendum showed that 58% of Conservatives voted to leave the EU. Do you consider them right wing fanatics? If so you are in the wrong party. But you may not wish to join Labour as 37% of them voted to leave. How about the Lib-Dems? Sorry but you wouldn’t want to go there as 30% of them voted to leave the EU. The Green’s voted 25% leave and the SNP 36%. The strength of the Leave win is that it is none partisan. Those who voted to leave are true democrats who believe in Parliamentary democracy, not rule by decree from unelected foreigners. I consider that David Cameron was a truly excellent Prime Minister. Yet during the referendum I found myself agreeing with Dennis Skinner! I suggest you listen to Lord Lawson. He was the most successful Chancellor of the Exchequer in decades. Or is he too, a right wing extremist? I don’t base my arguments on cherry-picked statistics I’m afraid, but since you evidently do here’s one of my own. A recent survey by The Economist found that 75% of university educated adults voted Remain, whereas the same percentage of non-university educated adults voted Leave, so that I agree that the issue is non-partisan. But as far as considering Cameron a ‘truly excellent Prime Minister’, well, I’ll have to suspend my disbelief on that one. His reckless referendum with no concern for giving the electorate some basic facts is what got us into this mess. Only now are the facts leaking out with David Davis yesterday casting doubt on the Brexiteers’ claim that we will regain our sovereignty, which for most Leavers was the whole point of the exercise. I can’t help it; I don’t want to join in this debate; but I have a couple of burning questions. Question 1 – name three decrees that were foisted on us against our will and name the “unelected foreigner” responsible. I can’t think of any such decree. Question 2 – what exactly is sovereignty and what use is this sovereignty to me? –	stop one of my family members from hiring EU nationals with skills that are otherwise unavailable in this area. Being in the EU facilitated these things. Brexit will probably render them impossible. BTW Lord Lawson was one of the architects of privatisation which has resulted riches for a very few and left the rest of us shouldering the effects of a banking crisis, austerity, foreign ownership of much of our infrastructure and an unsustainable national debt. The Council of Ministers are in effect the “Government” of the EU. They are appointed, not elected. Angela Merkel is the de facto head of the EU. She was elected by the Germans, not the people of the EU. When David Cameron attempted to renegotiate our membership, who did he go to? Merkel! Who voted for Juncker? Not the citizens of the EU. In fact not one of the FIVE presidents were elected by the people. Being outside the EU won’t prevent students studying in Europe. But remember that four of the top five universities on this side of the pond are in the UK. The other is Zurich, also outside the European Union. We don’t live in a Communist or Fascist nation. It is up to the people to decide if they wish to be in the EU and thus give much of their sovereignty to others. All of the main political parties had the same view on the EU, so a referendum was required on such an important constitutional matter. The people made the decision. That is it, we are out! Should that democratic decision be revoked, the consequences for our democracy will be catastrophic. Over half the population will be disenfranchised. The “Mother of Parliaments” will be embroiled in a crisis not seen since the days of Cromwell. You will also find that “Independent” Conservative, and “Independent” Labour candidates stand in the seats of those MP’s who usurped the will of the people. I’m afraid Howard you get “nil point” (pas de points or zéro point) as you answered different questions form the ones I asked. Howard – The will of the people is not for you to determine. It will be determined by the British people. Are you willing to support John Major’s call for a referendum? If not why not? Is it that you unwilling for the voice of the British people to be heard? Some answers to your questions Mike H, seeing as Howard didn’t answer to your satisfaction. Q 1. I will not answer this question. the authority of a state to govern itself or another state. 1 Supreme power or authority. 1.1 The authority of a state to govern itself or another state. 1.2 (noun) A self-governing state. eg “Talks are being held about who should have sovereignty over the island.” Indeed !!! From “The UK in a Changing Europe” website. Sovereignty can be understood as the authority of a state to govern itself, and determine its own laws and policies. In the case of the UK, we also have the idea of parliamentary sovereignty, which holds that Parliament is the highest source of authority make laws without restriction. But enough of the definition, lets continue with the rest. The EU has not got sovereignty over the UK, as the Federalisation of the European Union has not yet taken place. It’s only recently that people are beginning to realise just what is being planned. Your children studied at European Institutions, great, I hope that they got a lot from it. However that was not just because we were in the EU or EEC. It was because those Institutions had always offered places to students from other countries, exactly as the UK Universities did in the past, do today and will continue to do so. People from other countries have, at least since 1948, been able to take up employment in this country with ease. Have you never heard of the Empire Windrush, and that was before the EEC had even been thought of. Also large numbers of displaced persons from Europe came to our shores. Nothing will change. I didn’t answer your question as I have no intention of spending half the evening typing when you can find the answer yourself. Employ that wonderful search engine Google. ” The UK’s lack of influence in the EU”. Joan Wade. We have already had the referendum. It was held on 23/06/16. Did you miss it? Those who didn’t like the result want another. That is not the way democracy works, except in the eyes of antidemocratic bureaucrats in the EU and those in our nation who disrespect the democratic process. I am reminded of the scene in “Life of Brian” where the Peoples front for Judea endlessly debate and never act. David Cameron made it clear that the result of the referendum would be implemented. He went on to say that the question of Europe had poisoned British politics for decades, and the referendum would resolve the matter once and for all. I refer you to David Cameron’s Chatham House speech. You have a very very odd view of democracy Howard. We had a referendum on the 5th June 1975. The referendum in 2016 takes precedence over the one in 1975 because it is more recent. A referendum held nearly two years ago does not however take precedence over one held this year. The British people should be allowed to have their say. For the first two years there was a reasonable argument that it was too soon to hold another referendum. However, as time has gone by and as it has become more and more apparent that Brexiteers are unable to agree on what they voted for another referendum looks inevitable. There are before this comment 27 other comments following on from this post. We appear to be going round in circles. The Editors are closing the comments against this post at midnight on Friday 3 March 2018.